The K Works Clearheart headphone cable is available with Sennheiser, Audeze, and Hifiman connectors. This cable will give your headphones the best possible treble and bass extension, dynamics, enhanced 3-D imaging, transient speed and more. It’s built with OFC Copper Litz wire in Teflon insulation and Teflon/air spacing, with four conductors for compatibility with either single-ended or balanced termination. 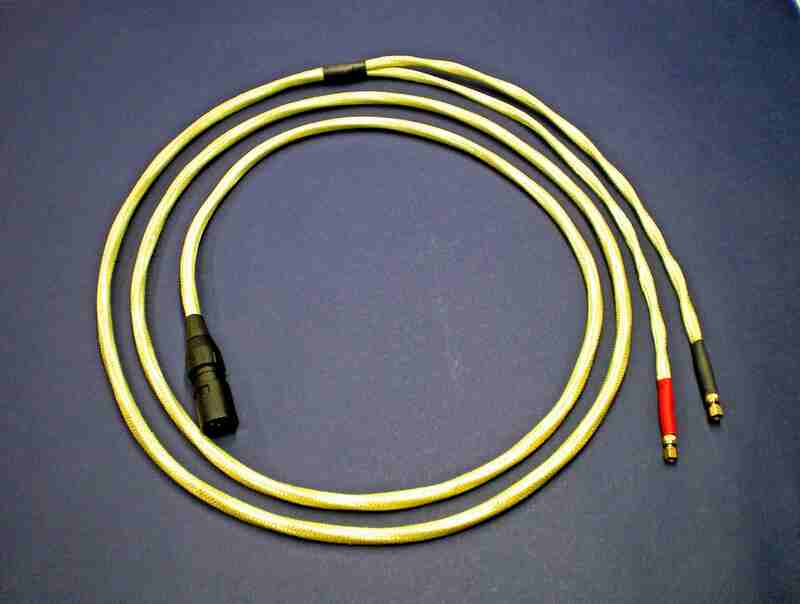 Includes high-tech ERS absorber in the plug to block RF contamination from entering your amp. This is an absolutely no holds barred high-end design. This cable has the same super-fast and super-dynamic, open and balanced sound as the Clearheart Interconnect because it is built in a similar way. The result is the most thoroughly thought-through headphone cable on the market, which passes the most engagingly and alluringly balanced, detailed, and dynamic sound possible. With bass and slam like you just haven’t heard before. It begins with Cryogenically-treated OFC Copper Litz in Teflon insulation, with four conductors rather than a common ground to preserve the best possible soundstage and dynamics (and to allow for balanced termination when desired). Each Teflon insulated conductor is then tightly covered in a braided Teflon jacket spacer, which has more air than Teflon in contact with the wire for a composite dielectric coefficient superior to plain Teflon. The bundle of four is then spiraled to reject noise transmission back to the amplifier. 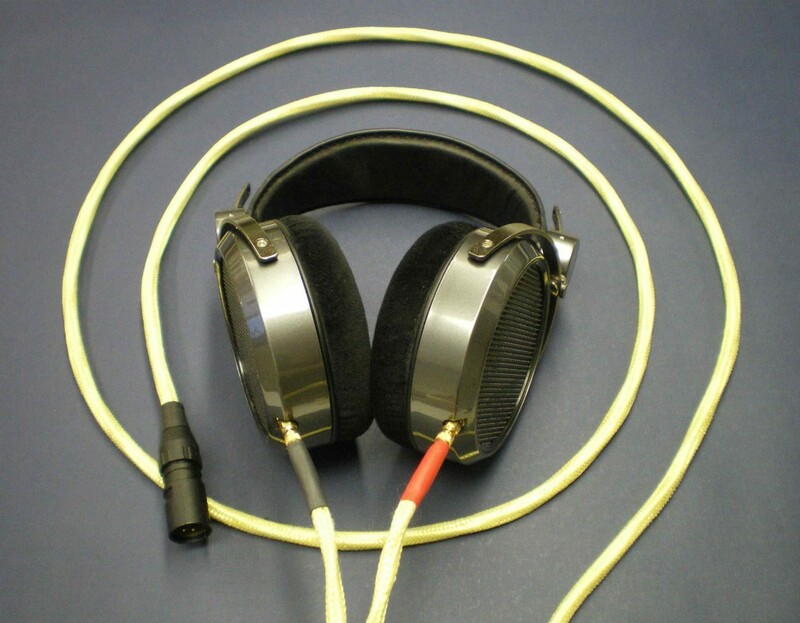 The Clearheart is a supple cable, but is thicker than most headphone cables. This is because conductor spacing is absolutely critical for dynamics. The conductors must be separated enough to transmit the greatest dynamics without suppression of the “jump factor,” the sudden transient rise with its huge increase in the size of the fields surrounding each conductor (but opposing each other). Suppression of the jump factor occurs when pairs of conductors with current running in opposite directions are too close together over any significant distance. Any cabling with conductors too close together in parallel cannot escape this constriction! Spacing also reduces the capacitance, additionally improving transmission of the high frequencies. Skinny headphone or other cables may seem convenient, but they will suffer dynamic compression regardless of what sort of exotic materials are used in the cables. The resulting bundle is then jacketed in a soft, fine woven Kevlar, a material that is very difficult to work with, but makes an excellent outer cover for several reasons. First, Kevlar is capable of snugly holding the conductors together to control characteristic impedance to a consistent value along the entire length and to prevent vibration or movement from modulating the distance between the conductors. The spacing must be uniform and consistent for best results, and must stay uniform and consistent during flexing. Tiny physical vibrations such as are present everywhere can move the wires relative to each other and modulate the capacitive and inductive factors between them. Kevlar can be applied snugly enough to control all this. Second, Kevlar avoids physical microphonics: that means when the cable rubs or brushes against something (such as a table edge or your clothing), it minimizes the transmission of the vibrations as sound into your ear. Third, Kevlar is a better dielectric than Nylon and won’t change with humidity like Cotton will. Two other often-seen coverings on upscale headphone cables are Cotton and Nylon—not good choices! Neither can keep conductor spacing tightly controlled. Cotton is a good dielectric only when dead-dry—a little moisture in the air and that goes out the window. It also wears poorly and dirties easily. Nylon isn’t an especially good dielectric under any conditions. Kevlar doesn’t care about humidity and is bulletproof-tough, even if it is very difficult to work with. Finally, the cable is terminated to the customer’s choice, with ERS inside the plug to prevent any noise picked up by the length of the cable from entering the “back door” of the amplifier. Such noise (RF) degrades the performance of the amplifier in this manner to an extent that is not generally appreciated in the audiophile world, but you will immediately hear the improvement with the Clearheart.